“The great teacher Buddha Shakyamuni said that this is our nature—these qualities are not new ideas or dogma that you bring into your life only when you practice Buddhism. Love, kindness, and compassion are the basic nature of every living being. When we connect with this nature, it is so soothing; we feel more calm and peaceful, as well as more joy and satisfaction. 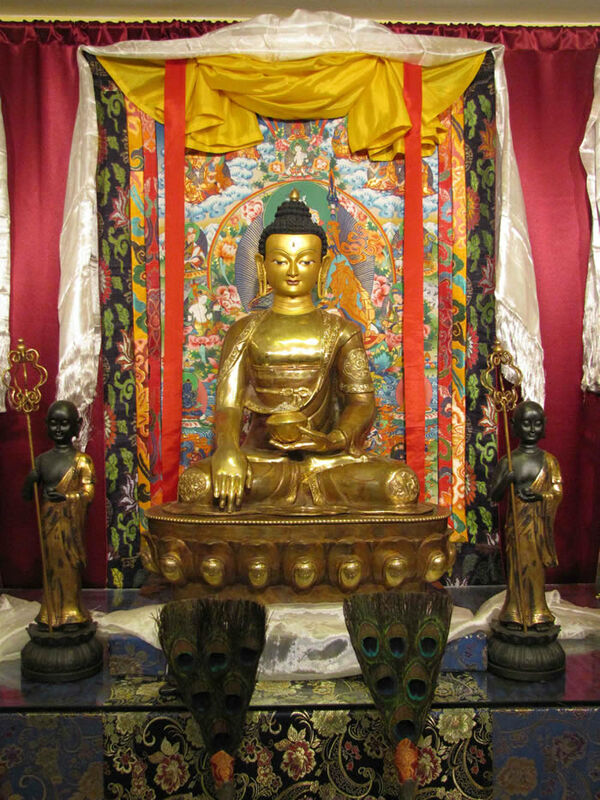 Therefore, as we practice and reflect on life, death, and dying, the Buddha always emphasized that we should ignite our basic goodness qualities of love, kindness, and compassion, which in Buddhism are known as “bodhichitta,” or the “mind of enlightenment.” This will help us better understand the meaning of the natural rhythm and process of life and death. The entire universe, including ourselves, is based on this nature. We never go out of the nature. Actually, we can’t go outside of the nature, and we’ve never been apart from it. Everyone has this same basic nature—every tiny movement and everything in general moves according to the nature’s rhythm and is a part of the natural process. In this way, life is natural, death is natural, and even the period after death is natural. These are all ongoing processes of the same nature. We should try to continually embrace all of the ways that nature manifests itself without fear. When we accept the nature with confidence and joy, everything is seen as a beautiful process. This entire natural system moves in cycles. We can see this when we look at the movements of day and night. If there is day, then definitely there will be twilight and nightfall. If there is night, there will be dawn, morning, and daylight. This process continues, day after day and night after night, like a spiral. Similarly, winter, spring, summer, and autumn continually rotate into one another. When you look at all the cycles, from galaxies to our own bodies, every natural system is continually spiraling, breathing in and out and then pausing, before breathing in and out again. That is how the process of everything works. 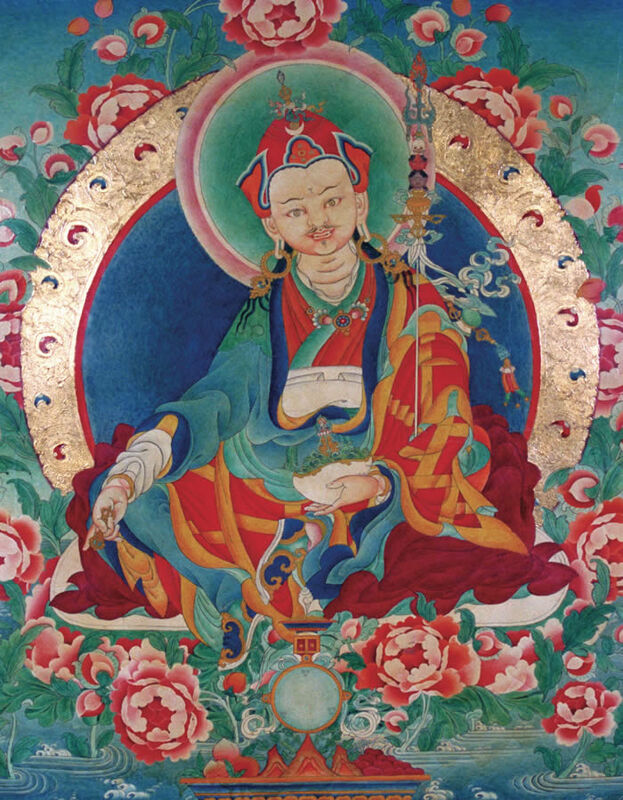 Buddha Shakyamuni said this throughout his teaching, and it was also taught by Guru Padmasambhava and all the other great practitioners and masters. Every system is a part of the nature. There is nothing outside of the nature. Everything exists within this frame, and we ourselves are also a part of that. It is not that the nature is on one side, and we are on another side. We are part of the nature itself. When we look at the external world, we see that everything goes through a similar process of birth and growth, and eventually comes to an end. But that is not the final end of the process. If the perfect causes and conditions meet, new, rejuvenated qualities emerge from what has fallen apart, and the process continues. This happens with the seasons and plants and everything. Nothing ever actually ends. When something passes, it continues into the beginning of a new cycle. Our life is the same. We take birth, grow up, and then die. According to Buddhism, death is not the end of life. In a way, death is the beginning of another era or chapter of life—we continue the process of life and death. Nothing ever really stops. As long as the right causes and conditions exist, everything continues—the light continues to spark without end. In Buddhism, this is known as “karma.” Karma never ends. In a way, karma is a continual chain reaction. The first moment is the cause and condition, and the next moment becomes the result. That very result becomes the cause and condition for the following moment. Each moment ignites and rejuvenates itself in a continual process that never ends. This is how we continually go through life after life. In brief, this is the general view of the process of life and death in Buddhism. If we look at our own situation, all of our lives began with birth. According to Buddhism, this current life is not the first time we took birth. This is just one of the many births that we have taken in this world. We are in an ongoing process of life and death. Our birth in this life was not the first and will not be the last. It is just one of our births in a chain of births that has no beginning and no end. When we are born, what is it exactly that is taking birth? Consciousness takes birth. When our mind merges with the causes and conditions of our parents’ red and white elements coming together, we are conceived. After conception, we go through a process of many different stages—every week we grow and change in our mother’s womb. Then after about nine or ten months, we come out. This is normally known as “taking birth.” We then continue to grow from being a baby until where we are now. We are currently in the process of living. The next stage we will all go through is that of dying and death. According to Buddhism, the time to prepare for our death is right now. We should all begin preparing for this transition now because while we’re in the process of dying, it’s difficult to begin making these preparations. So right now, while we are alive and well, is really the best time to prepare for the next transition or stage of life that we will have to face. How do we prepare for our death and dying? The teachings always say that we should prepare by connecting to our nature. This goodness nature is the nature of the mind. There are many different ways to connect with this nature, but we should just immediately go to our mind. The mind is what is going to travel when we die. Therefore we should make a close connection to the mind itself. That is the great preparation. Connecting to the mind means touching the nature of the mind, which is love, kindness, and compassion, joy and confidence. These qualities are the nature of the mind, so we should really become closely connected to them. Loving-kindness and compassion are really so important. They are not important because religion says so. According to the Buddha, these have nothing to do with religion—they are simply the nature of the mind. Everybody appreciates love and compassion because they are natural qualities. Religion may talk about or emphasize these qualities a little more, but aside from that, love and compassion are really just the nature of the mind. Therefore we should always connect our mind with its nature of love and compassion. When we connect to these qualities, we feel a sense of genuineness in our hearts and minds. We feel more relaxed, more calm, and peaceful. We also feel more satisfaction and joy. A very deep joy fills our hearts and minds when we have thoughts of love, compassion, and kindness. We can see this for ourselves. On the other hand, without joy, love, and compassion, even if we have everything else in the world, everything seems kind of empty—nothing gives us a sense of complete satisfaction and joy. This is because we are not closely connected to our own nature. Unnatural things cannot provide the same ultimate satisfaction as the beautiful qualities of the nature. Therefore, loving- kindness and compassion are known as bodhichitta—the mind of enlightenment. Bodhichitta is the nature of the mind. When we cultivate these qualities and feel more closely connected to them by doing more activities based on love and compassion, this is the preparation for death and dying. It is also a great reward to ourselves—it feels good immediately and leads to final, ultimate joy as well. Sharing love and compassion is also a very special gift that we can provide for others, so that everyone is more joyful and happy. It’s a great healing process. For these reasons, discovering the nature of our mind and sharing all of our beautiful natural qualities is very important on many levels and in many ways—for this life, for when we are dying, and for our life after death. In order to touch to this nature we must start with our mind. This is crucial. Each of us has a mind. It is intelligent and brilliant. It is beautiful, sparking, and shining. It encompasses multiple, colorful richness qualities. This is how the mind naturally is. The Buddha even said that it’s impossible to explain all of the richness qualities of our mind. They are beyond our mundane conceptions. And we all have this richness; it’s not something outside of what our own nature already is. In Buddhism, this basic, essential nature that we all have is known as “buddha-nature.” When we reconnect to our base, our mind becomes totally open, free, and infinite like the sky. Yet if we look and try to find out what this mind is exactly, we cannot find our mind. The mind is nowhere. It is beyond time and space, beyond all limitations and boundaries. This is how the nature of our mind is right now. We’re not talking about someone else’s mind. We’re talking about the mind of each and every one of us, and all of our minds are full of this richness. So why aren’t we already aware of the nature of our own mind? In a way, our mind is deluded. It is filled with delusions of grasping and ego-clinging, self-importance and negative emotions. These unnatural qualities are completely deluding and preventing us from beholding and recapturing the beautiful, richness nature of our mind. Grasping makes our minds very narrow, partial, regimented, and very tight. The grasping mind always wants something else—whatever fits exactly with what the ego wants. But the true nature of mind is totally free and flexible. It is infinite and includes everything. Therefore, grasping and the nature don’t fit very well together. Right now we are almost totally occupied and controlled by grasping and ego-clinging, which doesn’t agree with the nature. Eventually, the nature always takes over and grasping suffers. Grasping becomes sad and melancholy, and so we suffer. But that is not the nature’s fault. It is our mistaken grasping and ego-clinging that causes this. Grasping and ego-clinging don’t like to accept natural changes because they are set on having everything their way. When our mind gets stuck like this, the nature overruns us by following its natural flowing system, and so we begin to suffer. Due to grasping, death can become very painful. If we refuse to accept the natural breathing rhythm of this process, as we die and even after death we can become very scared and uncertain. Otherwise, we will see death as just a transition or change, like day turning into night. Why are we clinging on to the day and trying to avoid the night? The night will come. If we’re always grasping on to day, and don’t want to experience twilight and night, what good does it do? Either way, night will come. We suffer because our grasping and ego-clinging don’t like to accept or see change. They like to see things a certain way, and when it doesn’t happen or when things change, that’s why all difficulties come. As we move closer to our nature of acceptance, openness, freedom, love, and compassion—if we allow ourselves to be filled up with our nature’s beauty as it is, then everything in this life and after this life becomes a beautiful show of the nature’s rhythm. There is really nothing to be scared of, nothing that is alien or strange. It’s all a part of the display of the nature itself. This beautiful nature is the nature of everything, including our mind. Our mind is naturally filled with love, compassion, and wisdom. These qualities are completely united. They are inseparable from one another. Love is emptiness, and emptiness is love. Compassion is emptiness, and emptiness is compassion. There is really no separation at all. Buddhism talks a lot about “emptiness.” Emptiness is not a vague, blank negation state of mind. Emptiness is total freedom, infinity, and fullness. It is beyond all territories, limitations, and boundaries. It’s not some icy, cold, hollow state. Emptiness is bursting with total freedom. Therefore, the Buddha taught that emptiness is loving-kindness, and loving-kindness is emptiness. Compassion is emptiness, and emptiness is compassion. We can directly experience this by looking at our own mind. For example, when we talk about loving-kindness, where is that loving-kindness? When we look and try to find and grab that love, we cannot find any solid core existing in our experience of loving-kindness. That is known as “emptiness.” And yet, there is love, which is known as “appearance,” or “clarity.” The nature of our minds is so beautiful and special. When we closely connect to the nature, we immediately experience total fearlessness. All of our doubt and hesitation instantly disappear. In their place, we find total satisfaction, joy, and confidence arising within our mind. This is what we need to practice. To practice means to closely connect to this nature. In Buddhism, this practice is known as “meditation.” Meditation means abiding within the nature, or being one with your own nature. When we become familiar with our nature and stay with that, we continue to carry that light now, during our dying process, and after we pass away. That light never ends. Now is the time to ignite our inner light. Then our light of wisdom, love, and compassion will shine throughout all the changes that we go through. This is why the teachings always say to prepare for death and dying now while we have every opportunity. While everything in our situation is under our control, we should prepare. If we wait until we’re dying, then even if we want to prepare for death, the circumstances and conditions usually don’t allow for that. It’s very difficult to start then. Now we are free and have every opportunity, so we should begin right now. Preparation for death with actual practice is very important to do now. Even though you may intellectually be familiar with these ideas, if you don’t practice, your intellectual understanding and your actual experience of the nature remain separated. Whatever you learn intellectually, you must also absorb into your heart and mind. That is known as “practice.” As we all know, “practice makes perfect,” and even if it doesn’t make it exactly perfect, practice will make it close to perfect! In Tibetan, the processes of death and dying are known as bardos. Bardo means “intermediate state,” or “period.” There are three main intermediate states that we all go through: (1) birth and life, (2) dying and death, and (3) after death. Among these three periods—the bardo of life, the bardo of dying, and the bardo of death—we are currently in the bardo of life. Our next period is the bardo of dying, which will continue until we die. Death is inevitable for everyone without exception. Since death is an essential part of nature’s rhythm, everyone has to go through this period. Everyone who is born has to experience dying and death, no matter how rich they are, how powerful they are, or how renowned they are. Even beings with the highest realization have to pass through the bardo of dying. This is just a passage that we all have to go through. If we experience the day, we will inevitably experience the night. No one is outside of these experiences—we cannot avoid them. This is just how the nature moves. Of course, we’re not really telling you anything that you don’t already know. Still, it’s really important to reflect on why we die. Death is a part of the nature. The immediate reason that we die is that our body declines as it grows older. The elements in our body don’t have enough strength to hold themselves together as a body. In Buddhism, these elements are called the “five elements,” which include earth, water, fire, wind, and sky, or space. In a way, our physical body is a small example of these five elements, while the external world is a larger instance of the same five elements. The most important time for us is this life—where we are right now. We should try to do good things connected with unconditional love, compassion, and wisdom. When we do these positive activities, we should try to be in touch with our nature, and not get caught up in too much grasping or clinging. That is the best preparation for the next stages that we’ll go through. This is what the teachings often say. The present time is very crucial and important for us—the time is in our hands, under our control, and we can do whatever we want. This is where we can make positive changes that will greatly support our future destinations and activities.